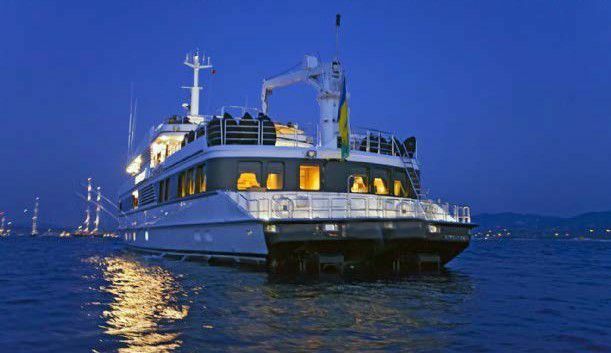 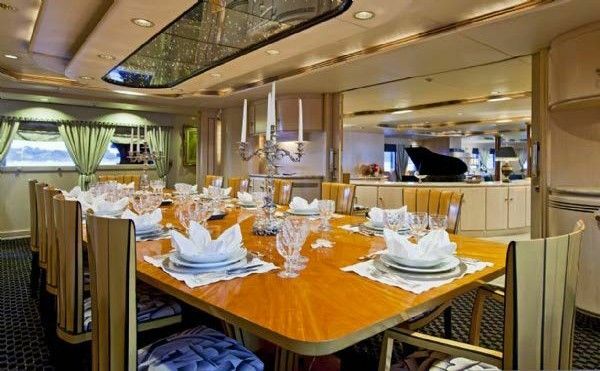 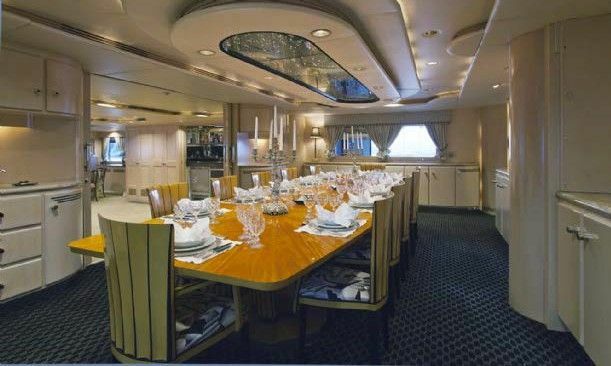 This luxury motor yacht was originally designed to be a world cruising motor sailing yacht with sleek lines, large volume and a fantastic general arrangement with a 4 deck elevator and wheelchair access. 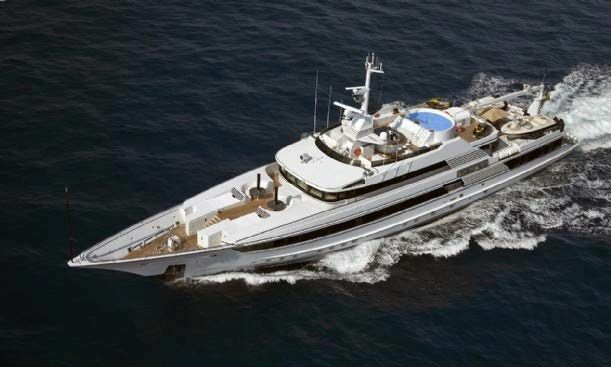 The mast was recently removed to turn her into a fully dedicated motor yacht. 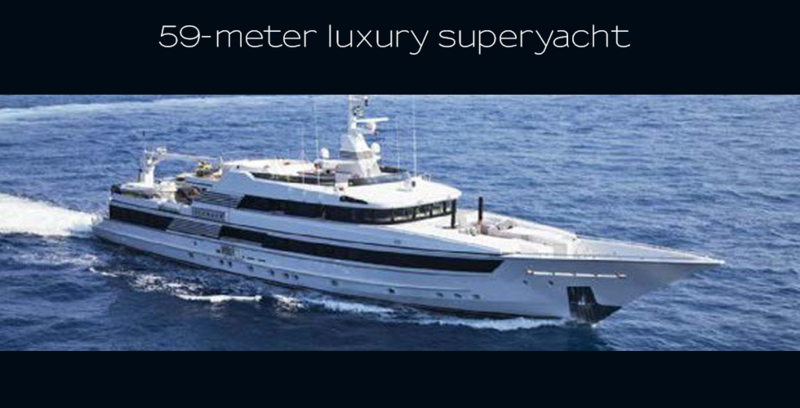 She has an all aluminium hull and superstructure and huge interior/exterior volume. 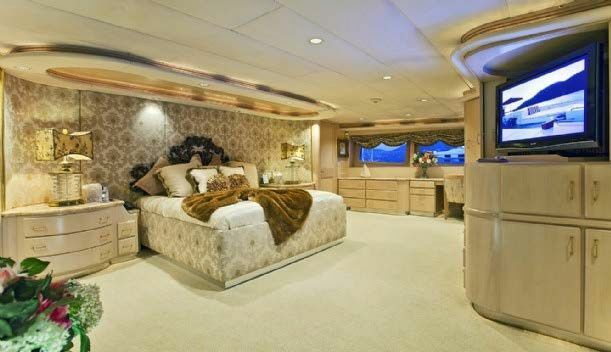 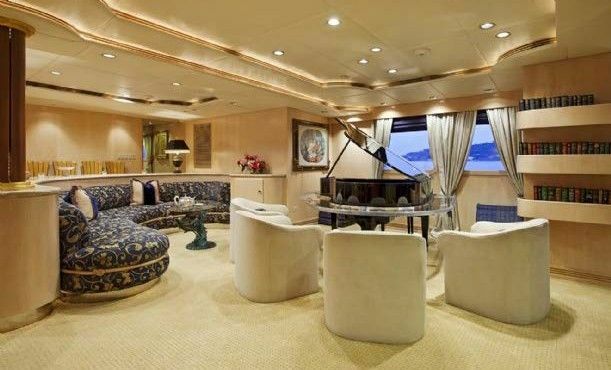 The owner’s stateroom is located forward on the main deck. 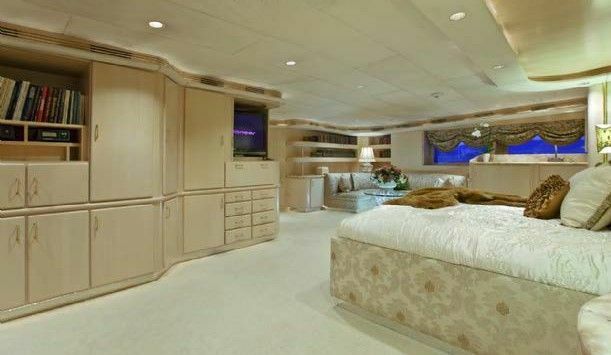 This full beam suite features his and hers en-suites, plenty of closet space and oversized windows that allow for natural light to filter through. 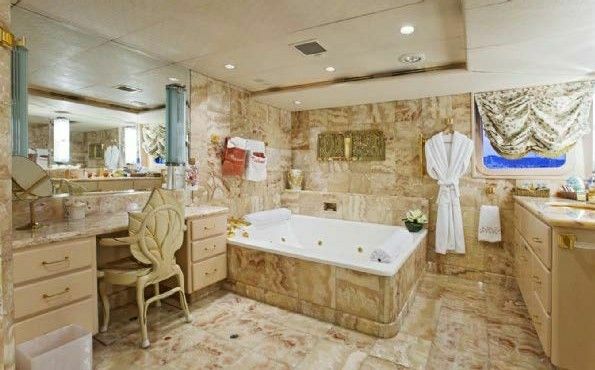 Her en-suite features an oversized whirlpool bath and separate marble shower while his features a large shower and gymnasium equipment. 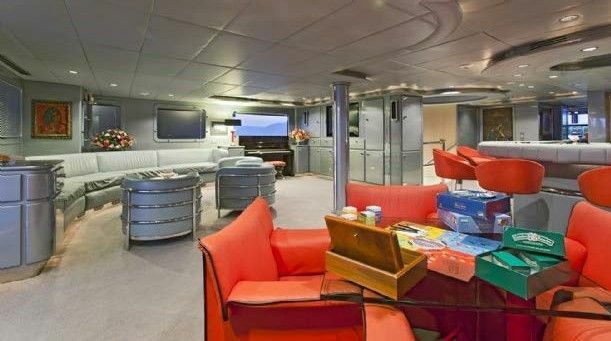 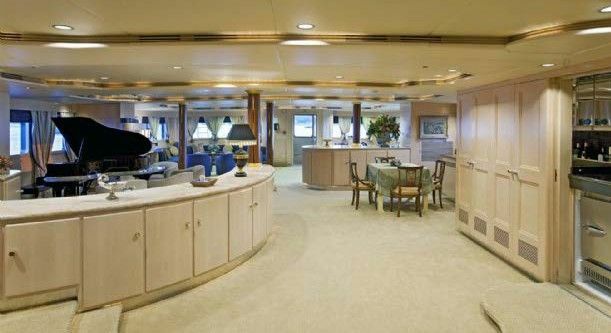 There is an owner’s study located to starboard that can convert if required to another cabin for an assistant, nanny or children. 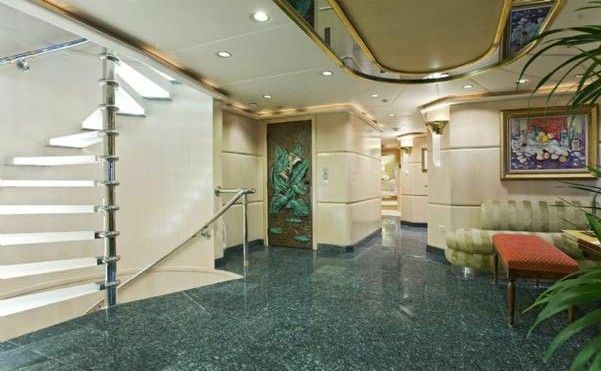 There are 4 large guest cabins on the lower deck forward. 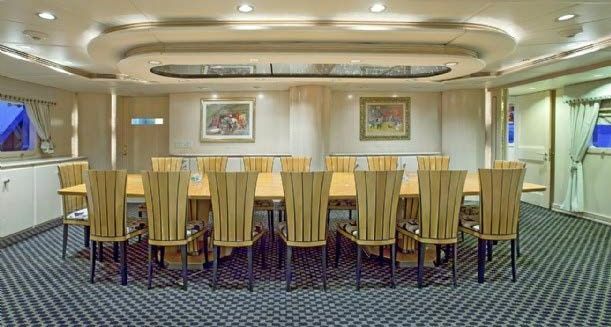 Three of the staterooms are queen bedded with the forth being a twin bedded cabin which also has a Pullman berth. 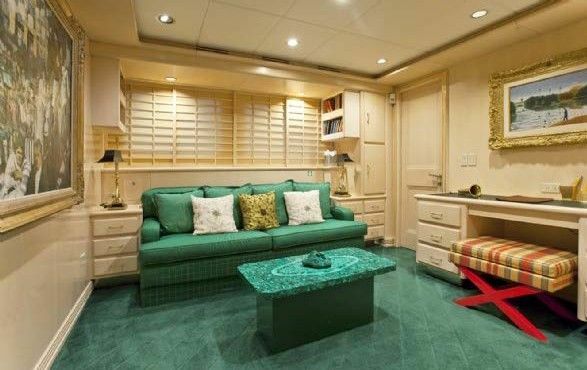 All are artfully arranged with marble finishes, full entertainment systems and great closet space. 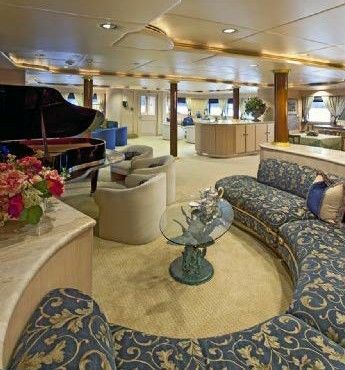 All interior finishes are light and airy. 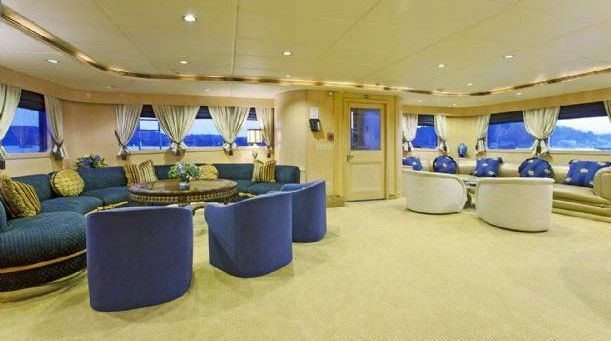 There are 5 crew cabins forward on the lower deck each with upper/lower berths plus a captain’s cabin located on the upper deck, aft of the wheelhouse. 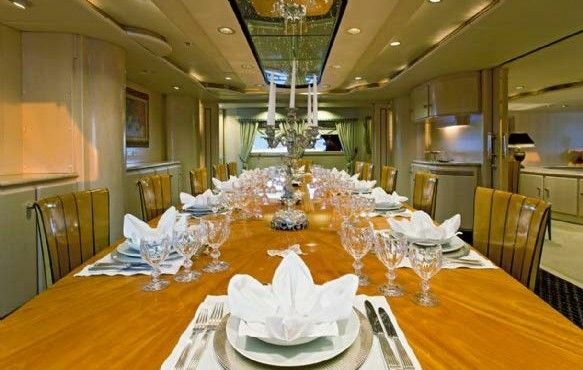 This yacht is a superb example of what can be achieved from a blank sheet of paper with a custom yacht builder when you have an experienced and knowledgeable yacht owner with vision. 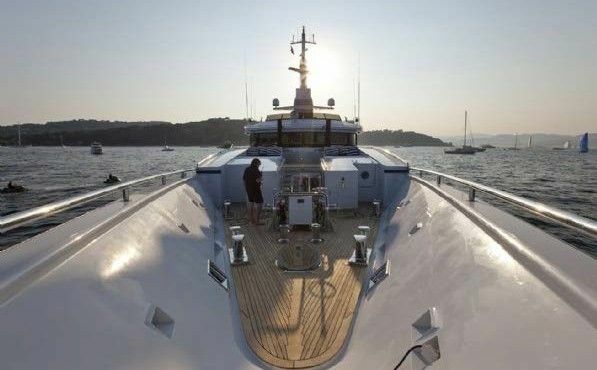 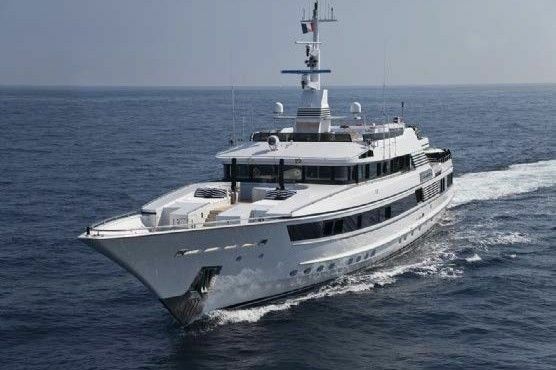 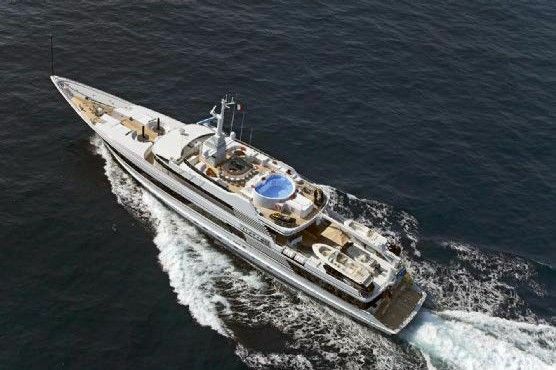 Not only does she have stunning lines, true world cruising credentials, but the thought that has gone into the use of space both outside and inside the yacht, sets her apart from most of her competitors. 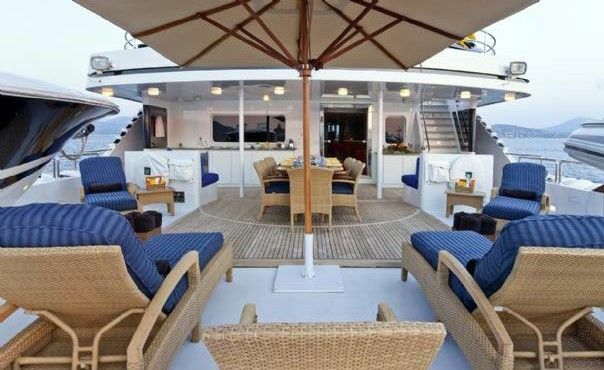 The interior volume has allowed the designers to make fantastic areas for entertaining and the sundeck is huge with an oversized pool, large bar and plenty of sunbathing areas. 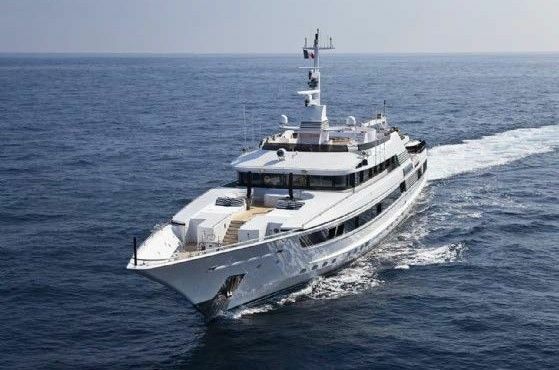 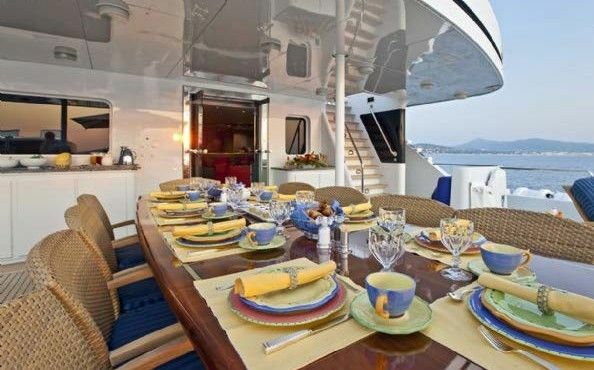 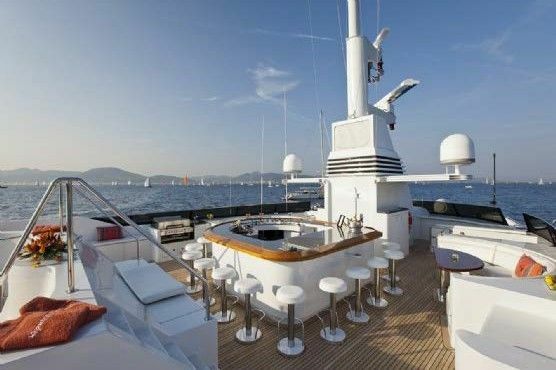 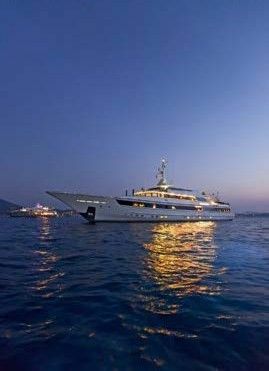 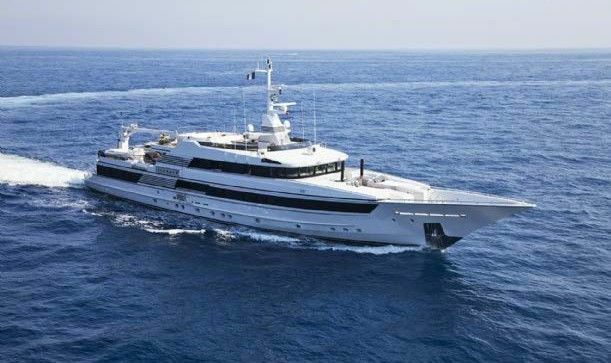 With a significant recent refit from 2009-2010, details of which are available by separate request, she is now totally ready to go for the most discerning of buyers. 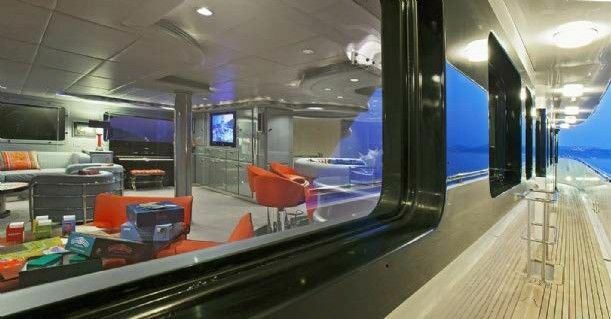 to 11 in 6 cabins.